George Howell has a wonderful sense of place in his poetry. We want to embrace the stones with him. And in our mind we can see the young rooster with his "yellow and gold plumes." George brings his words to life in this fine collection. Where is our place on earth? that follows you on your morning walk? Tobi Alfier - There are Readings, and there are READINGS! First, many thanks to Rich Soos and Cholla Needles for inviting my husband Jeff and I to feature last Sunday. Space Cowboy Books provides a wonderful venue, and some of our books will remain there for anyone who’d like one. For those of you who were there, you know it wasn’t beach party weather. 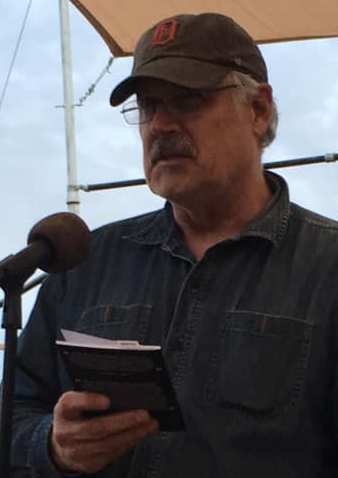 HUGE kudos to Rich as host – he makes the readings so supportive, safe, enthusiastic, fun, and transparent in terms of financial status, upcoming events, etc., that even though the open mic is first, you beautiful, wonderful, talented, funny and serious readers stayed to hear Jeff and I. 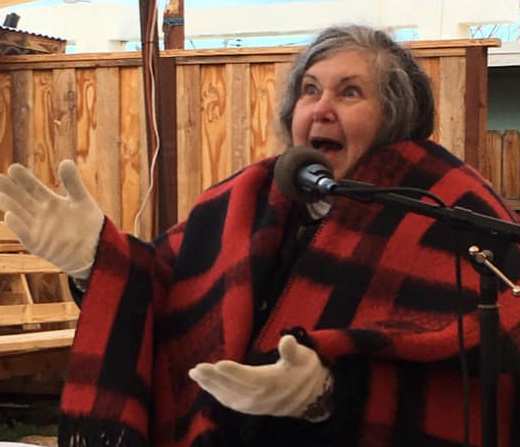 And even though I wore layers as instructed by Rich, my overwhelming gratitude to Cynthia Anderson for the “red blanket from heaven”. Without that blanket, I would still be there waiting to thaw out!! 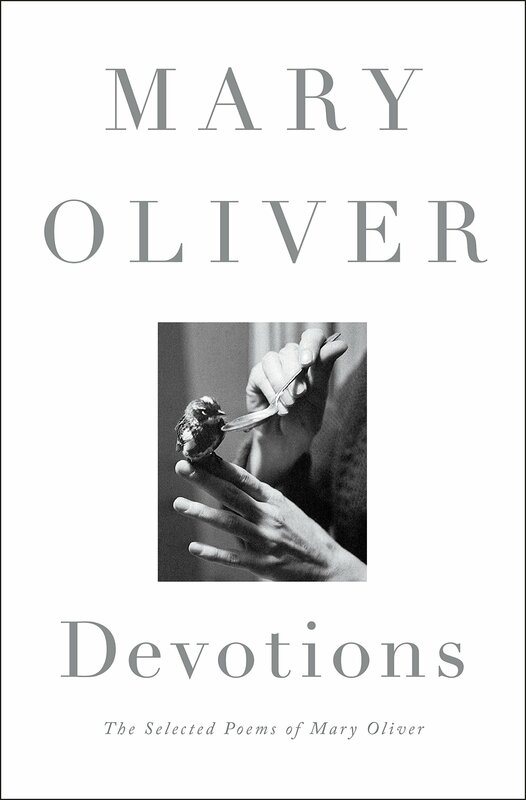 Now let’s talk about Mary Oliver. Full disclosure, I’m not very familiar with her or her work. She passed away this week at the age of 83. I know she has had a great impact on lots of people, both as writers, and humans. “In fall of 1984 I was in my first semester of the MFA program at Arkansas and things were not going well. My poems were not well received and in desperation, I was floundering, trying to be WS Merwin one week and Anthony Hecht the next. The nights I was sober (there were one or two) I wondered why I had uprooted my life in NC, my wife and our dogs to live in this strange town. Our visiting poet that semester was Mary Oliver, who I had never heard of and who had just won the Pulitzer Prize. Since I was in the poetry workshop, I got to have a private conference with her about a few of my poems. Because of the timing of my conference, my friend LuAnn Keener-Mikenas and I had lunch with her as well. I don't remember much about the lunch, other than being mildly surprised that she ate a burger rather than a salad or something vegetarian. At our conference, I had revisions of almost all the poems I'd sent her for the conference a few weeks before. She looked at the revisions, then at me and said, "Did anyone tell you these revisions were better?" I said no (I'm not sure now that anyone had seen the revisions) and she smiled and said "Good." Then she talked about how important it was to trust one's instincts and to learn what criticism worked and what didn't. In workshop the next day she talked about trusting the place poems came from. One of the recurrent tropes in that workshop was someone or another saying, "Maybe you should save that line for another poem." She heard someone say this and said "Or maybe forget about the line and trust the place the line came from." My month was made when she proclaimed the poem I had submitted as "almost there." Later, Jim Whitehead told me that she had talked to him about my poems although I doubt I was unique in this. She probably talked with him about everyone's poems. 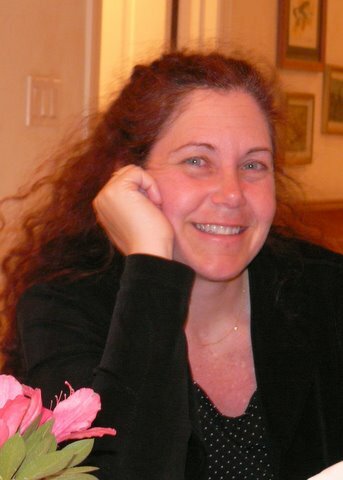 Many of Mary’s poems are online, and she has a jillion books if you’d like one, or you’d like to fill in your collection. What I took most from the comments about Mary was how good she was as a human. I don’t write a lot of nature poems and I never will. But I always strive to be kind, caring and human. I want to make a difference in people’s lives any way I can, particularly in their writing lives. Not for me, for them. R.I.P. Mary Oliver. May you be looking down from the stars, finding new types of beauty to inspire us to write about. 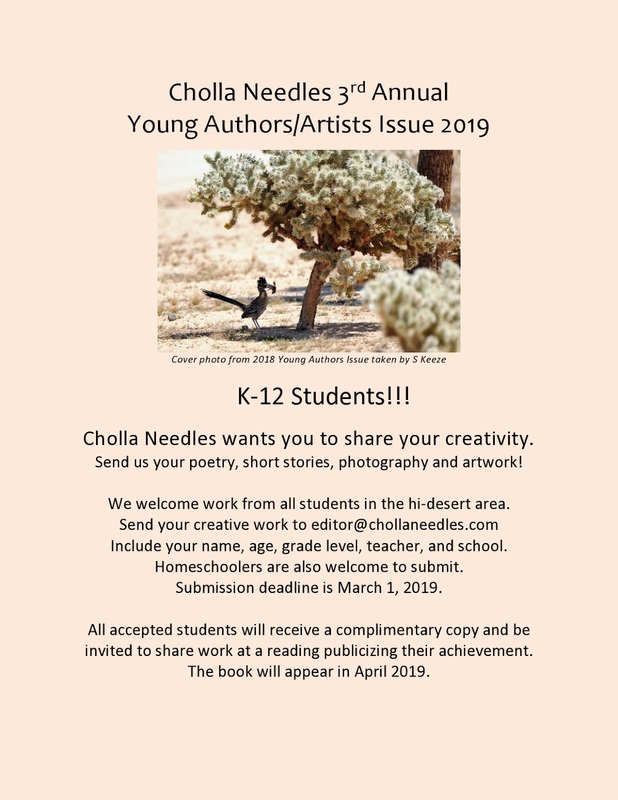 Come help us celebrate the publication of Cholla Needles #25! January's featured readers are Tobi & Jeff Alfier. Tobi's recent collection of poetry is Slices Of Alice. Jeff's recent collection is Anthem for Pacific Avenue. They are the editors of San Pedro River Review, and curators of Blue Horse Press. 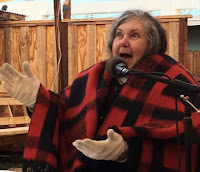 Start your 2019 poetry adventure here in Joshua Tree at this exciting event! We will also have 50 minutes of open reading! Come early and sign up! We ask each reader to read one short poem so everyone who wishes to participate has an opportunity. 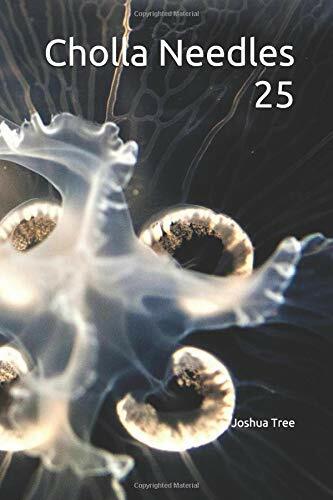 All participants in issue 25 will receive their contributor's copy at the reading. See you there! We welcome your poems for future issues! Click on the submissions button to the right for simple guidelines. Your generous financial support has given us the ability to continue our mission of sharing great poetry with local audiences. Thank you! Editors are Essential for Publishers as well as Poets! Last June 29th I wrote a blog about editors, and how I learned the hard way that having an editor review your work prior to submitting or publishing is good, and necessary. I always thought that when you submit a manuscript to a publisher, it was assumed that you had dotted all the i’s and crossed the t’s. I thought a clean manuscript was a condition of being accepted for publication. Apparently that’s not always true. I am in a publisher’s group on my beloved Facebook. Publishers ask interesting questions that, as a poet, I never considered (even though I am also a co-editor and co-publisher). The comments back to this person were very surprising and actually made her feel bad for asking. Some publishers said they were small presses (true). They had no staff (true). They couldn’t afford to edit for free (true). Authors didn’t want to pay for editing services (true). Still, these are publishers who build their reputations on the work they publish. As an author, you also build your reputation on your work. There are some things you won’t know until you see a proof – quirks of the software and so forth, but the words that are being printed…I think that’s on you. How would you feel if someone returned a book of yours because there were so many errors it was distracting to read? I know how I’d feel. I know that press would probably never publish me again. That person might never buy a book of mine again. That’s money! This is just a reminder to have your work read by someone else before you submit it for publication, especially if it’s an entire manuscript. It could be a paid editor or an eagle-eyed friend who will tell you the truth. Not many people can afford to buy whatever they want, whenever they want. 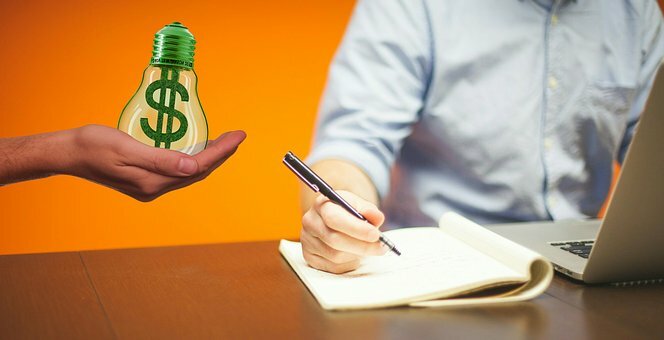 If you want them to buy your work, it’s not enough that they like you. Make sure it looks good. 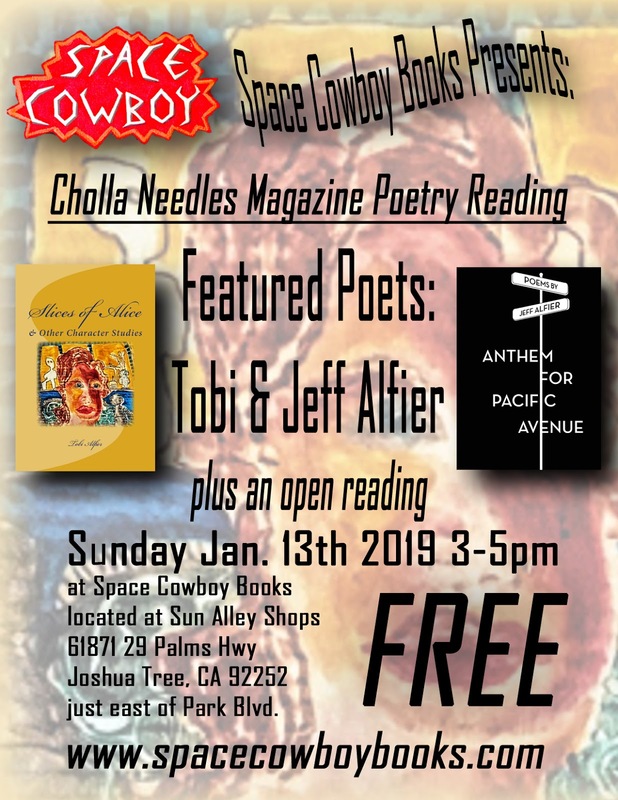 Note: For those of you in the Joshua Tree area, Jeff and I are very excited to feature for you this Sunday, January 13th at Space Cowboy Books. We look forward to the open mic and can’t wait to meet you! We didn’t even stay up to watch the ball drop in New York. My husband Jeff was jet-lagged, I’m always tired. We didn’t hear a single firecracker, no one called us at midnight. We did what we always do – wake up, kiss each other good morning, say “Happy New Year”, then go check for acceptances and rejections. Now you know why, after taking a “crossing genres” class with Mark Doty, I said “I learned that I will never write a memoir because I’m so boring, not even I would read it!” I hope your evening, and upcoming year, are everything you want it to be. Submit to one contest a month. I never win anything. It’s my way of being a good literary citizen by making small donations here and there. If the contest fee includes a one year subscription to a journal I enjoy, it’s a win-win. Diligently continue this blog for the whole year. I appreciate those of you who read this. You help keep me focused on poetry. You remind me to write in a way that’s understandable and current. This blog is for me as much as it is for you, and I am very thankful to write it. Have you heard of the “30/30”? During April, National Poetry Month, the idea is to write 30 poems in 30 days. My goal is to write ten good poems that I can submit and that will be published. I don’t care about writing 30 crummy poems just to say I did it. If you’ve ever done this before, or never tried it before, start thinking about whether this is a challenge you want to try in 2019. You have three months to get in the habit of finding poetry in everything, from the beauty of a hawk flying in a cloudless sky, to the person buying Spam, cat food, and asparagus in line behind you at the store. Everything can become poetic; practice observing. Practice eavesdropping. Practice writing. Get ready for April! Those are the only resolutions I made. 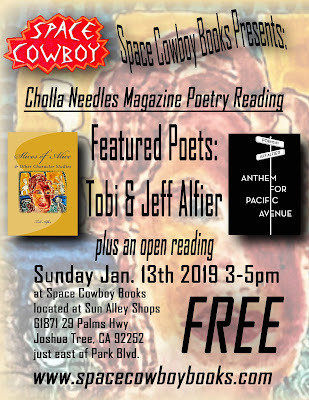 As you may know, January 13th Jeff and I are the featured readers on behalf of the Cholla Needles Magazine poetry reading series at Space Cowboy Books. There is also an open mic. I am very much looking forward to meeting you and hearing your poems! Those of you who read this blog and who are local have an advantage over us: you’ve been to these, we haven’t. Any comments or suggestions you can offer below will be gratefully accepted. We’ve seen pictures of the readings but don’t know the audience. We don’t know if there will be kids there. We rarely have curse words in our poems, just so you know. The reading will be G Rated. I currently have copies of three books: “Somewhere, Anywhere, Doesn’t Matter Where”, “Slices of Alice & Other Character Studies”, and “The Color of Forgiveness”. They will be available at Space Cowboy Books. The same will go for Jeff’s books. Full disclosure – I used to only cry in Texas. Even though I practice and practice, something will make me cry and my poems aren’t even sad!!! My apologies in advance. Please bring Kleenex if you are easily influenced. 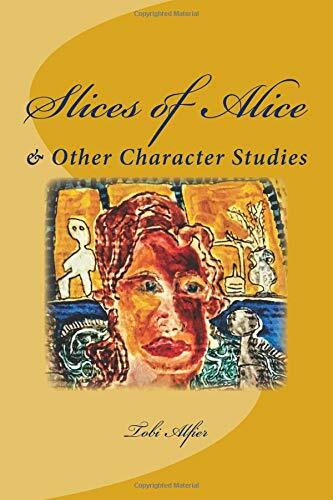 “Slices of Alice & Other Character Studies” was published by our very own Rich Soos and Cholla Needles Press. Our other books were by different publishers. 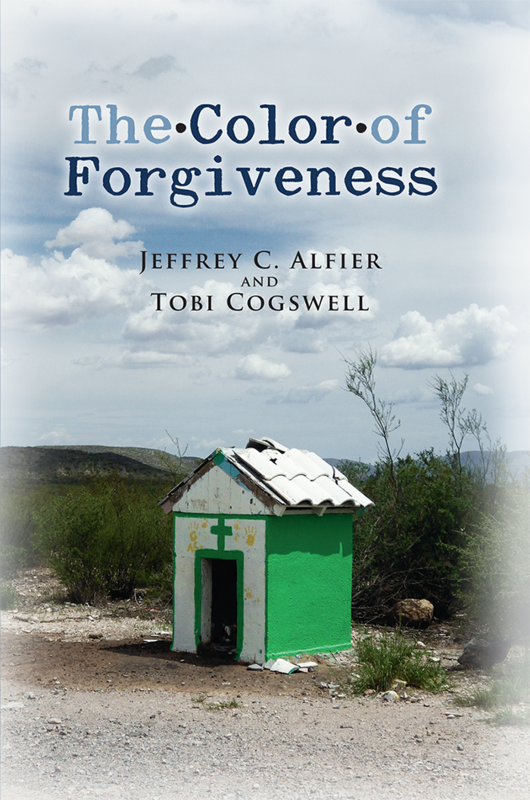 “The Color of Forgiveness” is the only collaborative book Jeff and I have ever made. 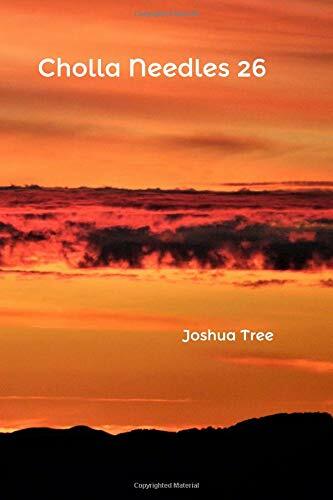 There are some poems by me, some by Jeff, many where our stanzas are woven together to make new poems, and many of Jeff’s beautiful black and white photos. You cannot tell who wrote what. 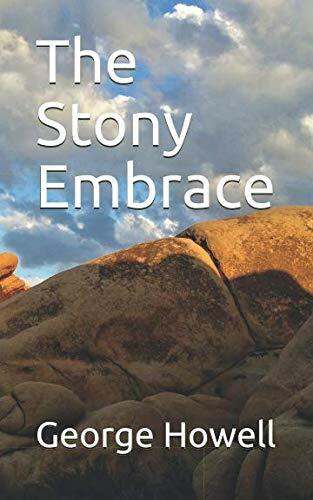 The compilation was done by Michael Dwayne Smith, editor of Mojave River Press and Review. A sample poem is below. Clouds are the lecture hall of God. for their men to come home from sea. the football uniforms of the universe. arrival, daring anyone not to notice. peaks caused by air, the hidden sea, from below. Birds don’t take meteorology class, they just know. velvet blanket wrapped around her for warmth. There’s a lot you can imagine.